As told by Staff Sgt. Jeffrey Schultze, 9th Reconnaissance Wing Public Affairs in his article RQ-4 pilots act decisively to save aircraft, being separated by hundreds, or even thousands of miles from your aircraft is an experience unique to the remotely piloted aircraft community. 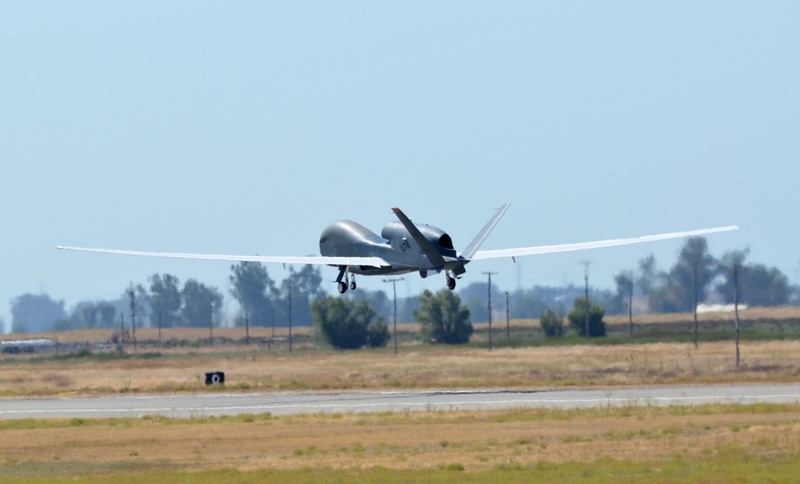 When something malfunctions in the air it requires a special set of skills to overcome, which is exactly what two RQ-4 Global Hawk pilots used in Aug. 2016. 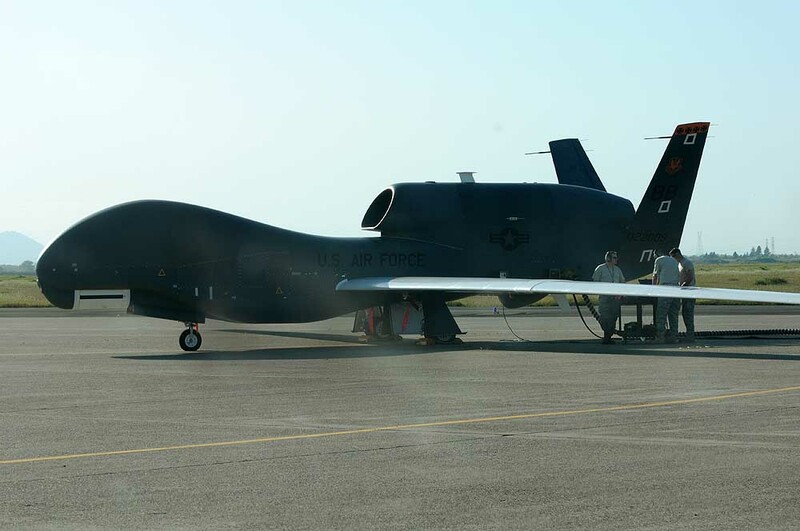 Working together they saved an aircraft after a potentially catastrophic fault in the Global Hawk’s oil system. Capt. Thomas, 12th Reconnaissance Squadron RQ-4 pilot and Capt. Travis, 9th Operational Support Squadron wing scheduler acted decisively and used their extensive training to save the $130 million aircraft. 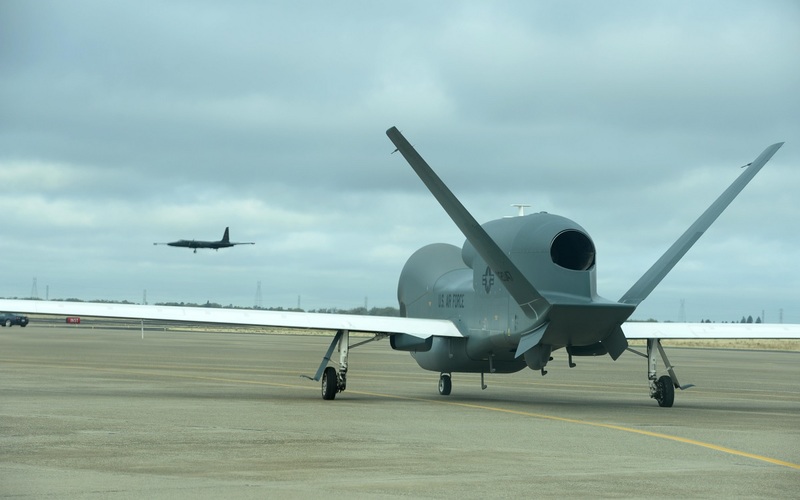 The RQ-4 Global Hawk, serves as the U.S. Air Force high-altitude intelligence, surveillance and reconnaissance (ISR), long endurance, remotely piloted aircraft. The pilots operate the aircraft from within the Mission Control Element (MCE) on the ground. “About six hours into our mission it became clear there was a fault in the oil system, at that point, we went straight into the checklists and utilized our training to access the situation,” said Thomas. The already stressful situation was amplified as Thomas was nearing his mandatory crew rest period and had to hand over the malfunctioning aircraft to Travis so he could finish the flight. When the situation was declared an emergency the RQ-4 was around 400 miles off the coast of California, and the decision was made to attempt to get the aircraft back to Beale Air Force Base (AFB). Travis recalls what it was like taking over from Thomas for the last two hours of the flight. In a short amount of time a decision had to be made about whether or not the aircraft could realistically make it back to Beale AFB or another nearby location. The inflight emergency resulted in the aircraft being safely diverted to Edwards AFB, California. Travis reflected on what it was like when the RQ-4 finally landed.